The Texas House is electing a new speaker in January, and a quiet campaign for votes is already underway. There's a twist: Most of the voters have never been involved in a race like this. 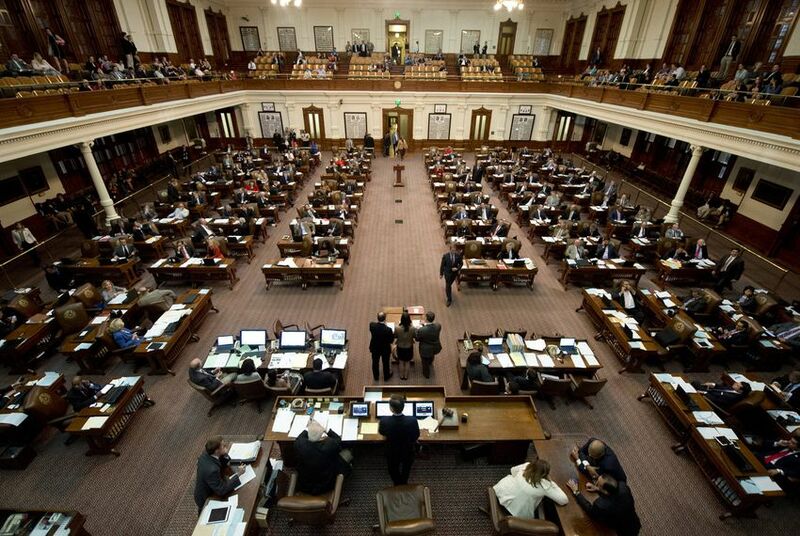 The coming race for speaker of the Texas House will be decided by novices. Most of the 150 members of the House — more than two-thirds, in fact — have never elected a new speaker. And only a half dozen of them were around the last time the race for speaker didn’t feature an incumbent. They’ll all be experts in just a few months. House Speaker Joe Straus, R-San Antonio, announced last October that he won’t seek a sixth term. Four members have officially joined the race to succeed him. More legislators are exploring the possibility, feeling out their colleagues — the voters — for signs of support before they jump in. The last open race came after the 1991 session, when Speaker Gib Lewis, D-Fort Worth, decided not to run again. State Rep. Pete Laney, D-Hale Center, won a race featuring several chairmen of Lewis’ powerful committees — Appropriations, Redistricting, State Affairs, Ways & Means and Transportation. Laney, like Lewis and now Straus, served five terms in the job, losing it after Republicans took the House majority in the 2002 elections. Laney’s successor, state Rep. Tom Craddick, R-Midland, was a three-term speaker who was upended by a bipartisan group of representatives unhappy with his governing style. There was a quick period of uncertainty in that 2009 election — after Straus had an apparent majority but before it was certain — in which other House members’ names were suggested to replace Craddick. But Straus’ support held, and it never became a free-for-all. This time, it’s definitely a free-for-all. The last open race — the one Laney won — was a test of loyalties and friendships and political power that, like what’s going on today, was new to most members of the House. But in that earlier case, there were 34 veteran legislators who’d been through an open race for speaker before. This time, only six members — Craddick; Senfronia Thompson, D-Houston; Harold Dutton Jr., D-Houston; John Smithee, R-Amarillo; René Oliveira, D-Brownsville; and Garnet Coleman, D-Houston — have seen a competitive open race for speaker. A supermajority — 102 members — have never been through a real race at all, having taken their seats in the House after Straus was first elected in 2009. Straus was challenged a couple of times but never seriously threatened. The last time most House members went through something like this — a race in which the contestants know each of their voters by name and those voters’ preferences by heart — was probably in a race for class president in high school. What they’re in for is the rawest kind of race, one in which the voters are acting on what will be best for themselves and their constituents, and one in which the candidates are barred by law from promising any rewards for support. Some of the race is visible: The public knows that the names of the four candidates who’ve filed papers are Phil King, R-Weatherford; John Zerwas, R-Richmond; Tan Parker, R-Flower Mound; and Eric Johnson, D-Dallas. A lot of it is invisible. For instance: exactly which members are quietly poking around, deciding whether to file, is unknown. The conversations between members are private — so private, in fact, that at one point in the last open race, a reasonably well-sourced reporter could see that the names of members pledged to vote for Laney, plus the number supporting Jim Rudd, D-Brownfield, or David Cain, D-Dallas, added up to more than 150. The two-timers were so convincing that top members of Rudd’s team didn’t believe Laney had won until they saw his list of signatures. It’s a high-stakes game of liar’s poker — a dangerous adventure for 144 tenderfeet. Analysis: There are 4 official candidates to be the next Texas House speaker. The real field is much bigger.